Prostate cancer is one of the most common types of cancer in men. 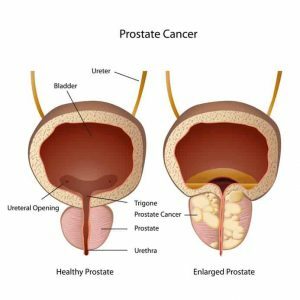 Usually prostate cancer grows slowly and is initially confined to the prostate gland, where it may not cause serious harm. However, while some types of prostate cancer grow slowly and may need minimal or even no treatment, other types are aggressive and can spread quickly. Prostate cancer that’s detected early — when it’s still confined to the prostate gland— has a better chance of successful treatment.